How far does digital TV buying have to go before it makes a dent in the upfronts? In the digital advertising world, the big story over the past few years has been programmatic. Such automated buying was just a blip a few years ago, but now represents the majority of sales for display advertising. Can the same happen to TV? The answer is, "It depends." If you take the long view, programmatic TV will likely take up a majority of the overall TV ad spend (which was estimated at $79 billion in 2015.) However, that could take a decade or more, and even the biggest proponents of programmatic TV say that the upfronts and human-based selling is likely to continue. Still, the effects of the burgeoning programmatic TV industry are starting to be felt. There are two primary elements of programmatic TV: Automated transactions and data-driven targeting. In 2016, the former is less of a factor than the latter, which is upending traditional demographic-based buying. Despite some recent hype, programmatic TV ad spending was just $50 million in 2014, about 0.1% of total TV ad dollars, according to eMarketer. The researcher estimates that figure will reach $11.48 billion by 2019, when it will be about 13% of the total US TV ad market. That might appear proportionately small, as Lauren Fisher, an eMarketer senior analyst, points out; nevertheless, there’s a great deal of existing infrastructure to TV advertising, which wasn’t the case with display advertising. "Also there’s a deep legacy with the way business has been conducted," she says. Currently, media buyers are still convincing large advertisers to try programmatic, Fisher says. Given the spread of programmatic online, the odds are higher that they’ll be won over. "Certainly the successes that programmatic has had in digital will make its migration a lot quicker than if there hadn’t been some success," she says. Part of the appeal is the ability to streamline ad buys, which are still done via human-based communication. That aspect of programmatic though is less appealing than the ability to apply data that goes beyond standard demographics. "Clients have a better understanding of who their customer is," says Todd Gordon, general manager of programmatic TV at TubeMogul, a programmatic ad software provider. "They have precise segmentation that they’ve been able to build over time and to act on in the digital space. They want to be able to do the same in TV." Nielsen’s broad segmentation of the TV viewership has long been the primary currency of the TV ad market. In 2016, Nielsen ratings are still divided by age, including the 18-49 and the 18-34 markets. In the past few years, though, advertisers have been asking for more refined targeting. Firms like TubeMogul and Clypd take other sources of data, which might be as broad as "presence of kids in household," or delve down into category affinity. "[Media owners] are getting more requests from their buyers for specific audiences that go beyond Nielsen age/gender," says Doug Hurd, cofounder and VP of business development at Clypd, a Boston-based provider of programmatic TV solutions. Hurd adds that broad Nielsen targeting is still the foundation for buys, but now marketers are asking for interest-based targeting as well, like "heavy moviegoers" or "motorcycle enthusiasts." "Whatever the best available data to help you understand your client, that’s what we want to use," Gordon says. 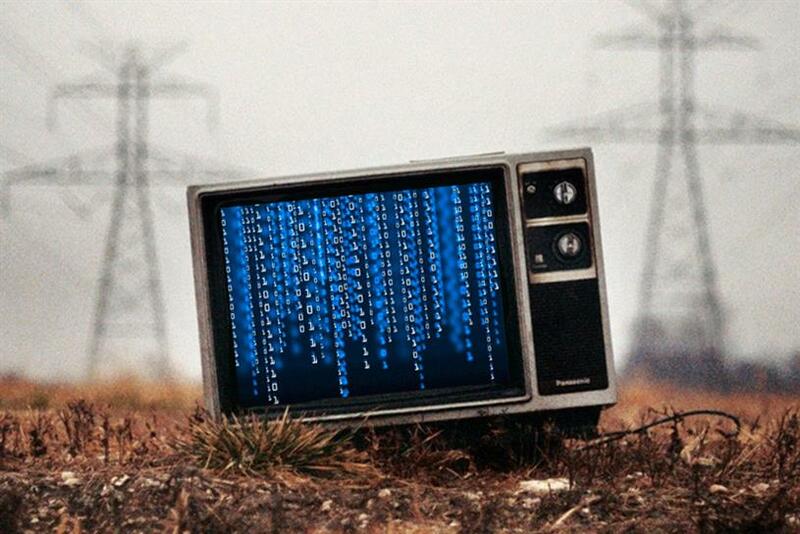 The firms’ data scientists then match up that data with TV programming to find the best fit. Tapping such data often reveals unexpected correlations. For instance, Gordon says that brewers might not think to advertise on Bravo, "but when you work through the men you’ve reached effectively by buying sports and comedy — when you cover all the targets you’ve reached intuitively, you find some 25-year-old beer-drinking men don’t watch sports." TubeMogul claims that such data-based targeting results in a 30% cost savings, meaning the advertiser is spending the same amount of money but getting about 30% better results in terms of reaching the exact target audience more frequently. Such results are enhanced with addressable TV, which targets at the household level. Some 23 million US households can be accessed via TV-based addressable advertising from Dish, DirecTV and Cablevision, according to BIA/Kelsey. If you count Comcast’s ad-supported video on demand, there’s another 19 million. Charter Communications may also soon add another 18 million. "There’s going to be great growth in the addressable realm," says Richard Ducey, managing director of BIA/Kelsey. Such addressability lets advertisers target on the household level, so a home with two children might see a different ad from a neighbor who had none. Other data about the household is also available to advertisers, including income, ethnicity and whether a car lease is about to expire. The catch is that the five major networks see addressable as a threat, as do many cable networks. "TV is usually used for national, big-volume campaigns," says Karsten Weide, program VP at researcher IDC. "That’s kind of holding things up." Weide says as soon as the number of addressable household TVs hits critical mass, things will change rapidly. "The big TV publishers are standoffish," he says. "Because they are like ‘I’m sitting on top of a multi-billion-dollar business and it’s been the goose that lays the golden egg for decades. Why should I change anything? But their empire is going to be nibbled at on the edges." So-called "TV Everywhere" a k a Internet-based streaming, is another alternative to broadcast. In 2014, some 13 million users in the US and Canada logged on to such programming, according to Adobe. EMarketer also estimated that some 181 million people in the US watched video on an app or website and bypasses traditional broadcast distribution last year. For advertisers, such over-the-top (OTT) programming offers the same kinds of buying mechanisms and targeting that display advertising does. Fisher notes that such views are logged as impressions. When compared to TV advertising spends, they’re still fairly small. "Certainly from an ad dollar level traditional TV is still heavily weighing the conversation," she says. "But those impressions are just going up." So far, while programmatic TV hasn’t made a huge dent in the market overall, its presence is felt by the media owners’ new emphasis on data. In the past year or so, Viacom, ABC and Turner, among others, have introduced selling platforms that are based on data-based targeting, rather than traditional demos. "That started with the upfronts last year," says Fisher. "I think it’s going to be a big piece of it next year." And what about 10 years from now? Will the networks be holding upfronts? Gordon thinks so. "There’s always going to be big-event TV and custom stuff that you want to do and high-touch type stuff," he says. "Software isn’t going to do that for you."